Every six years, the IRS requires that employers using a pre-approved prototype or volume-submitter 401(k) document restate their plan document to incorporate any and all changes made to the regulations and tax laws that impact retirement plans. This go-around is labeled the Pension Protection Act of 2006 (PPA) restatement process and will pick up the changes made by the Pension Protection Act of 2006, the final 415 regulations, the Heroes Earnings Assistance and Relief Act (HEART) of 2008 and the Worker, Retiree and Employer Recovery Act (WRERA) of 2008. The window for restating your plan document opened on May 1, 2014 and will close April 30, 2016 which means if this is the first time that you are hearing about this restatement phase it is of the utmost importance that you contact your third party administrator (TPA) as soon as possible to get your restatement started. The long and the short of it is “Yes”! Your retirement plan must follow the written plan document and the written plan document must follow the rule, regulations, and guidelines set forth by the IRS and the Department of Labor (DOL). Therefore, when one of these governing bodies makes changes to the rules, your plan must adopt to follow these rules. Most of the time, these changes can be handled through an interim or “snap-on” amendment to the plan, but when the number or the complexity of the changes gets to be too great, a restatement is required. Who Should be Helping Me? Your plan’s third party administrator (TPA) is more than likely the party that will be assisting you with the restatement of your document. Keep in mind that it is common for your TPA and your record keeper to be the same company, but that is not always the case. It is also important to determine if your plan is using a prototype or volume submitter document or if your plan is an individually drafted or designed plan. In most cases, your plan will be either a prototype or volume submitter, but it is definitely important to make sure you are clear on what type of plan you have as that will impact when and how your plan has to be restated. Now could be a good time to review your plan to determine if any changes should be made to the plan provisions that are not specifically covered by the required restatement. For example, your plan could review the definition of compensation, Roth options, and/or automatic enrollment procedures and make updates to these or other provisions during the mandatory restatement. Just be ware not to change any “protected benefits” such as the timing or forms of distributions during the process. By this time, hopefully your provider has already completed the restatement process or at least you plan’s TPA has reached out to you to discuss the restatement process; however, if not, it is time to make a call to your plan provider to get the process started! If you have any questions about the restatement process, what it means to your plan, or where to go for assistance, please let me know by calling 205-970-9088 or emailing me at jamie@grinkmeyerleonard.com. For 2015, plan sponsors should skip the compliance questions that were just added to the Forms 5500 and 5500-SF, and to Schedules H, I and R for the 2015 plan year. Revised versions of the 2015 instructions for both forms contain the new information regarding the optional questions. The Department of Labor (DOL) announced this change in a Feb. 16 message to software developers for EFAST-2, the electronic system by which Forms 5500 are submitted. While the DOL has not yet posted these revised versions on the website of the DOL’s Employee Benefits Security Administration (EBSA), the agency says that it plans to do so. IRS Compliance Questions. New Lines 4o, 4p 6c, and 6d were added to Schedules H and I. The IRS has decided not to require plan sponsors to complete these questions for the 2015 plan year and plan sponsors should skip these questions when completing the form. New Part VII (IRS Compliance Questions) was added to Schedule R for purposes of satisfying the reporting requirements of section 6058 of the Code. The IRS has decided not to require plan sponsors to complete these questions for the 2015 plan year and plan sponsors should skip these questions when completing the form. IRS Compliance Questions. New Lines 10j, 14c, 14d, and new Part IX (IRS Compliance Questions) were added to this Form for purposes of satisfying the reporting requirements of section 6058 of the Code. The IRS has decided not to require plan sponsors to complete this question for the 2015 plan year and plan sponsors should skip this question when completing the form. The IRS added questions to the Form 5500 and its schedules relating solely to IRS compliance issues because the IRS now requires that certain filers submit the Form 5500 Series electronically. 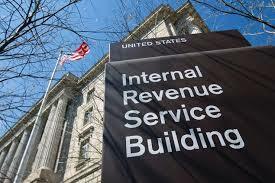 It had said that answering the IRS compliance questions it added to the form was optional for the 2015 plan year. The Internal Revenue Service last week announced the 2016 cost-of-living adjustments for the dollar limitations under qualified retirement plans, 403(b) plans and 457(b) governmental plans. Most pension plan limits remain unchanged for 2016. Click here to see 2016 limits as well as the limits for the previous two calendar years.